An 18th century Dutch Delft tile. 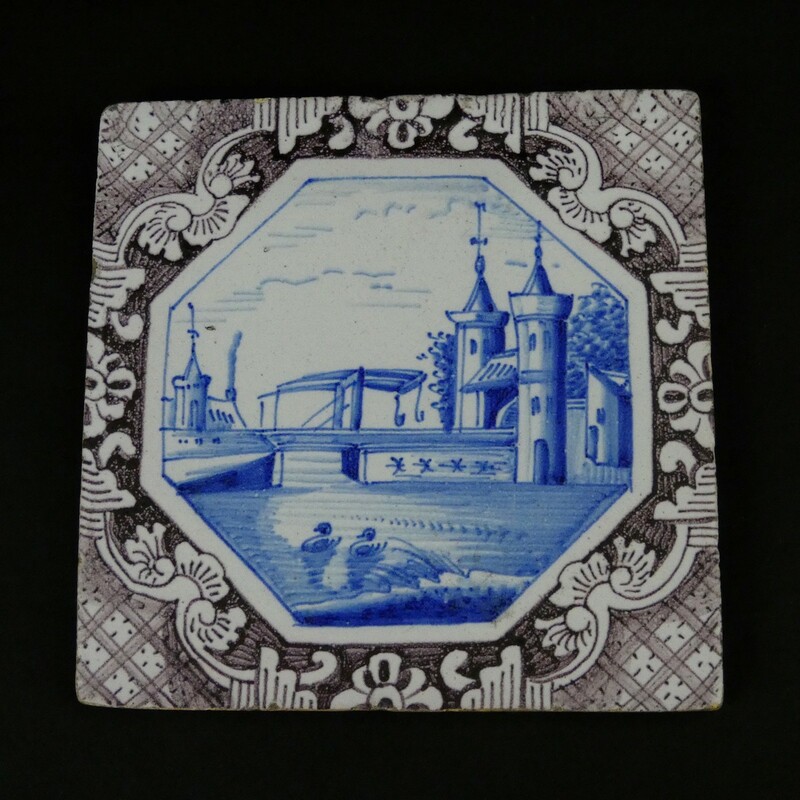 This tile is well painted, in blue, with a landscape scene which includes a swing bridge and other buildings. Around the scene is a geometric border painted in manganese. The tile dates from c.1780. As the glaze on Delft is very soft it is prone to chipping or fritting around the edges. This piece however, is in excellent condition and the fritting is minimal and barely noticable. Price includes postage within the U.K.